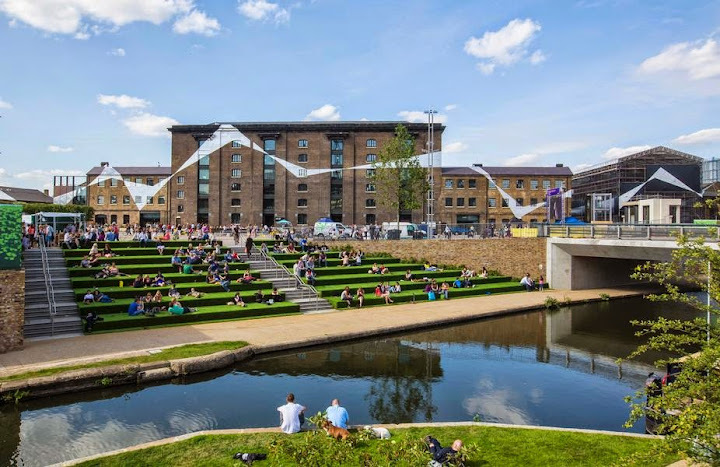 Transport for London have released their initial proposals which aim to transform Vauxhall Cross making the whole area more cycle friendly and therefore more people friendly. 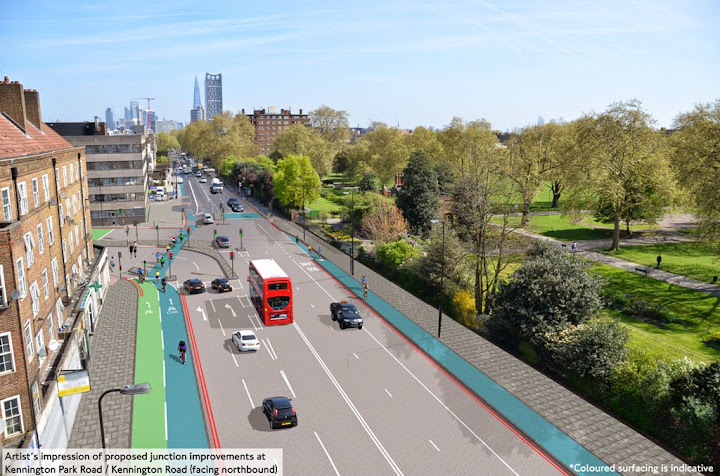 TfL are proposing to end the one-way system at Vauxhall and the surrounding roads as well as bring in improvements to the bus, rail and tube station and create a new public space around Vauxhall station. 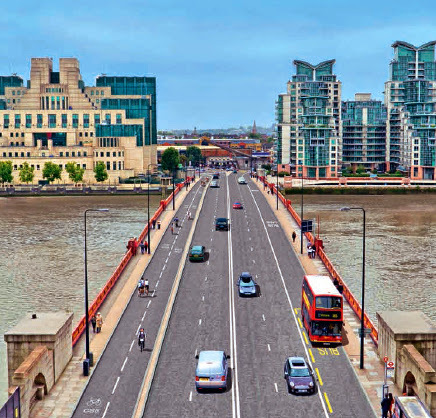 The effect, it is hoped, will be to make Vauxhall more than just a transport interchange. These plans, developed with Lambeth, follow on from the 2012 Lambeth supplementary planning document (to which Lambeth Cyclists responded). and come in the light of new residential and business developments which will see 18,000 new homes being built and 25,000 new jobs being created in the area. 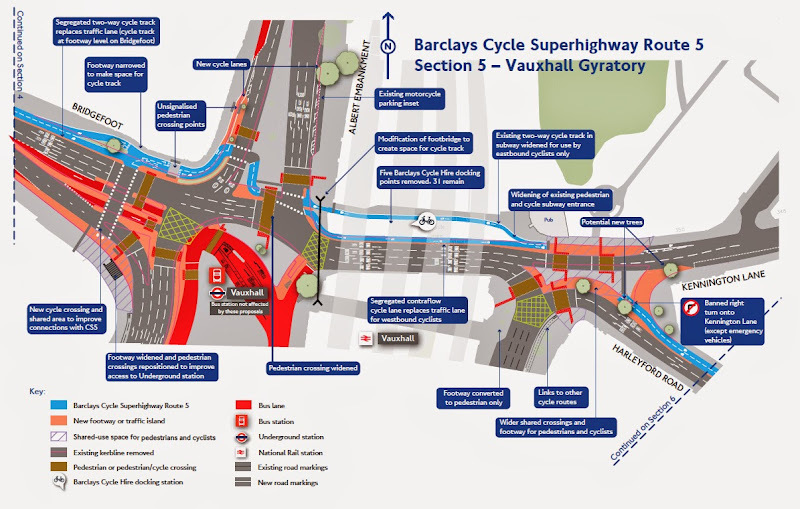 The proposals are the first stage in the process of transforming Vauxhall Cross - following this consultation TfL will come back with further plans in 2015 and following further consultation the changes are likely to be brought in by 2020. These proposals are in addition to the cycle superhighway proposals which will be implemented next year. 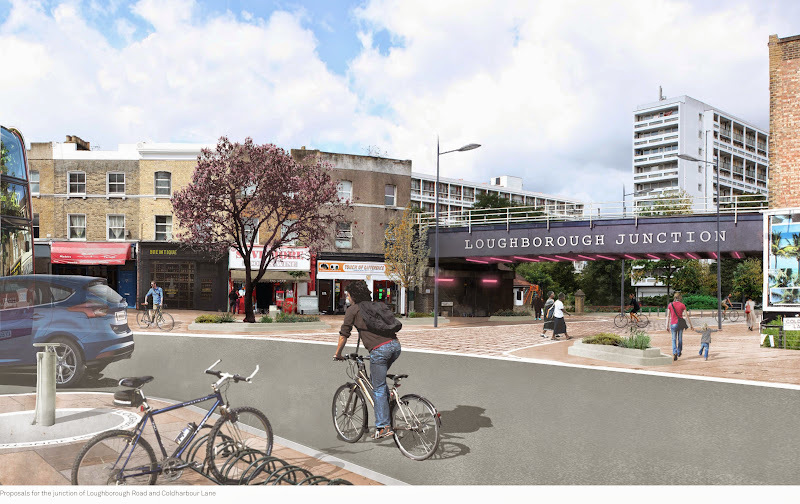 Lambeth Cyclists welcome TfL's proposals for Vauxhall Cross as we believe that they will create space for cycling and make the area more people friendly. 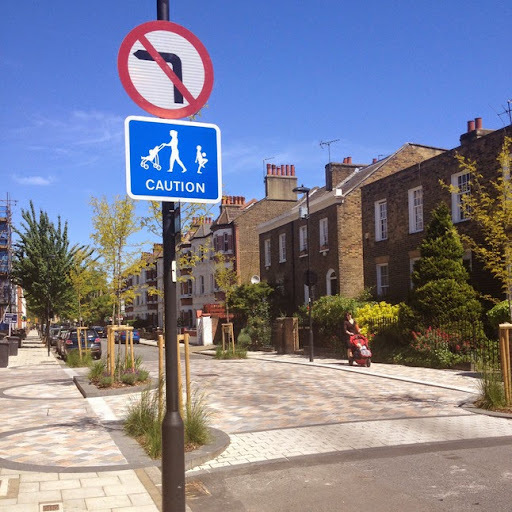 We have been campaigning to end the one-way system for over 15 years and look forward to a pedestrian and cycle friendly Vauxhall Cross. 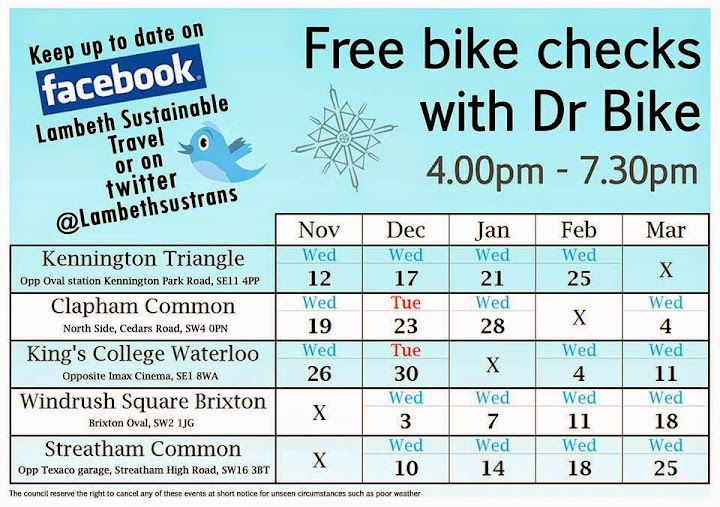 Lambeth Council are running their popular Dr Bike service on Wednesdays and Tuesdays in December at various locations around the borough. Got an idea for a ride? 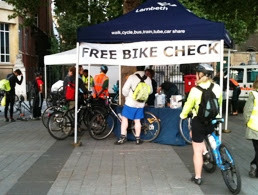 Would you like to be involved in planning next year's Lambeth Cyclists' rides? 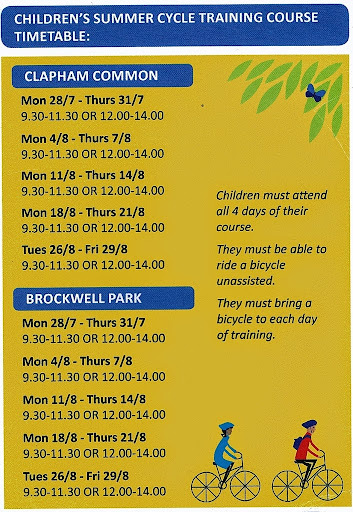 We will be holding a meeting on Wednesday 3 December 2014 to celebrate this year's rides, thank ride leaders and plan the rides programme for next year. 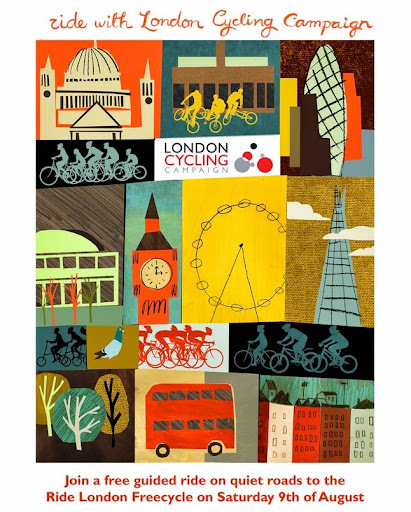 If you have an idea for a ride around some aspect of the London cityscape (or indeed any other ride ideas) do come along and talk it through with us - we can help with routes and practical arrangements. 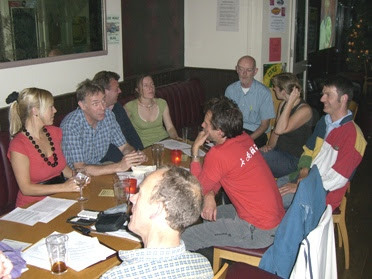 The meeting will take place on Wednesday 3 December at 6.30pm at the Royal Festival Hall, Blue Bar, 4th Floor. All welcome, contact Tessa Wright -07949 785258 if you have trouble finding us. If you can’t make the meeting but have an idea for an architecture-themed ride, please email Mark Knox (mpknox@care4free.net). Join us tomorrow (Saturday 29 November 2014) for our next ride around the London landscape when we will be looking at how the city has dealt with death over the years. 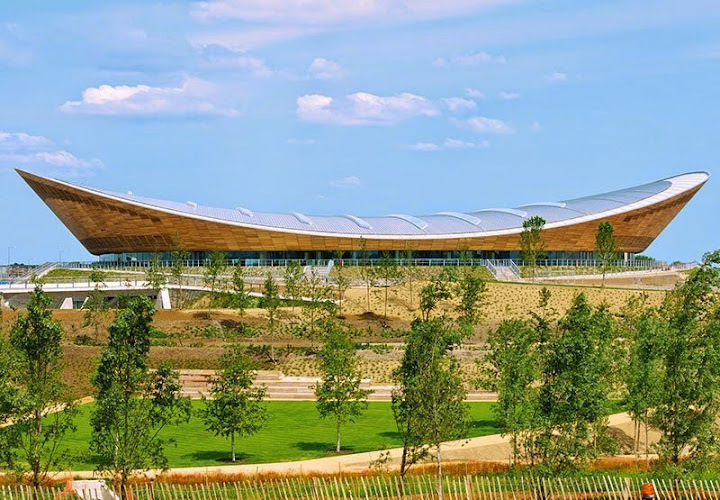 Come on this easy-going all day ride for a tour of some quiet green places that hardly anyone notices, forgotten and overlooked in the bustle of London life, some of which were once scenes of unimaginable filth and squalor that eventually gave rise to public outrage. 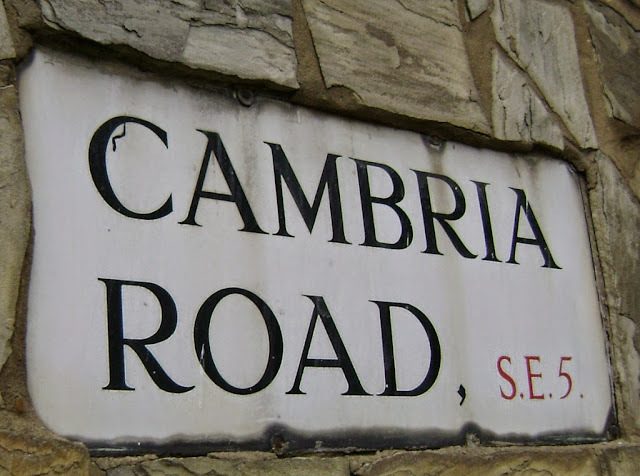 Often street names and plaques are the only clues in this treasure hunt of social history which will take us to public gardens, lonely burial grounds and lumpy churchyards. 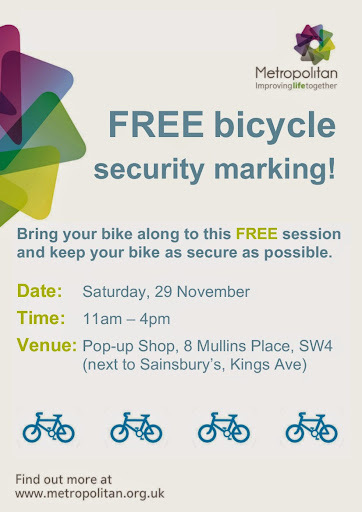 This leisurely, largely level ride with frequent stops will cover sites in the East End and possibly Hackney and Camden if time permits. This will be an all-day ride with a lunch stop. 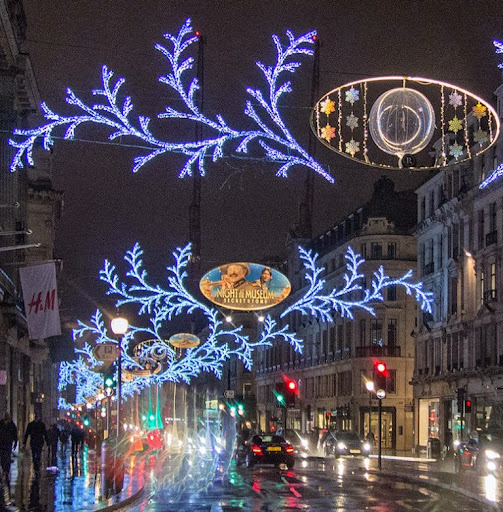 We will aim be back in central London by around 4.30 so you will need lights. 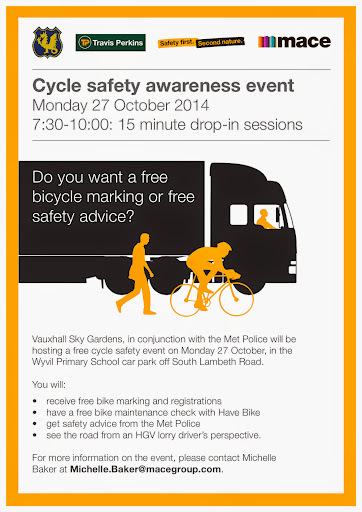 Meet: Saturday 29 November 2014 10:00am for 10:15 start at Drury Lane Gardens, Covent Garden. near junction Russell St and Drury Lane, WC2B 5SN. Latecomers can catch us up at St Bride's, Fleet St, our first stop. Join us on Saturday 29 November 2014 for our next ride around the London landscape when we will be looking at how the city has dealt with death over the years. See the full TfL Vauxhall Cross proposals on the TfL Vauxhall Cross consultation page, - the closing date for responses is 19 December 2014. 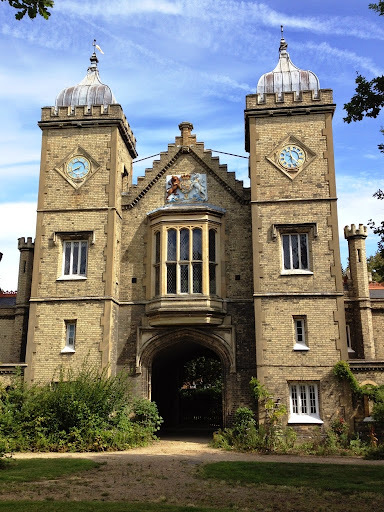 Join us this Sunday, 28 September 2014, for a leisurely ride exploring the relatively unknown world of London’s historic almshouses. 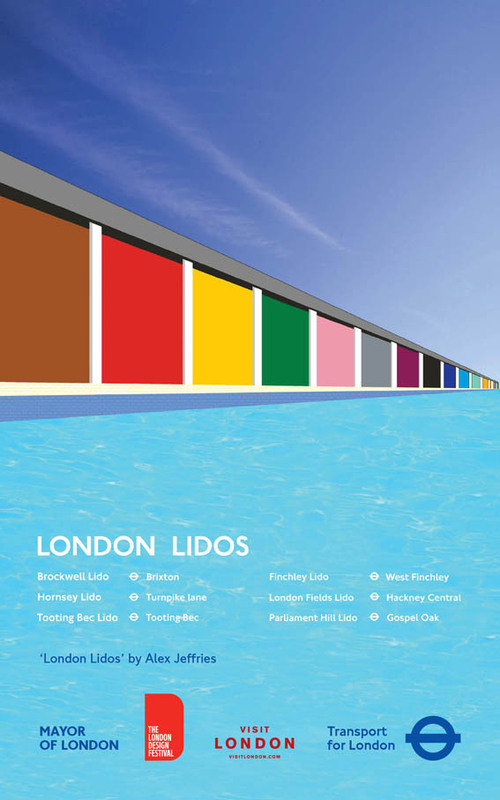 The first in a series, we will be exploring 10 of these fascinating buildings which are often overlooked, or even hidden from view. Founded by Girdlers, Victuallers and Watermen, some have changed use over the years, but all retain their quiet serenity in an increasingly busy metropolis. 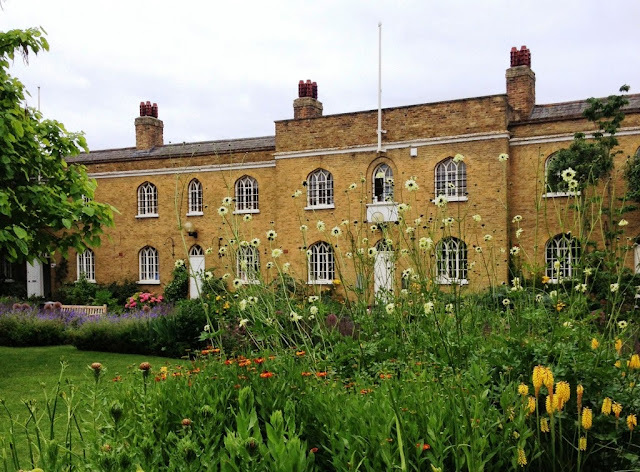 We will begin at the Friendly Society Almshouse in Burgess Park, SE5 (pictured right) and then cycle through Camberwell to Peckham where we will stop for lunch near Peckham Rye before heading off to Penge via Dulwich. Our journey will be taken at an easy-going pace, but there will be one steep and hilly stretch towards the end. The ride will finish approximately mid-afternoon at the Free Watermen and Lightermen’s Almshouse on Penge High Street (below). 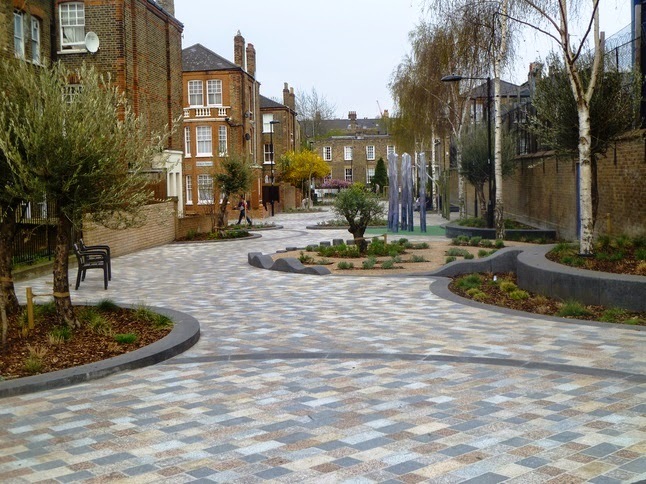 Meet Sunday 28 September 2014 at 10:15am for a 10.30am start, in front of the café at Chumleigh Garden in Burgess Park (SE5 0RJ). If you arrive early there will be time for a coffee before we head off. The ride will finish in Penge at approximately 4pm. All welcome - no need to book. 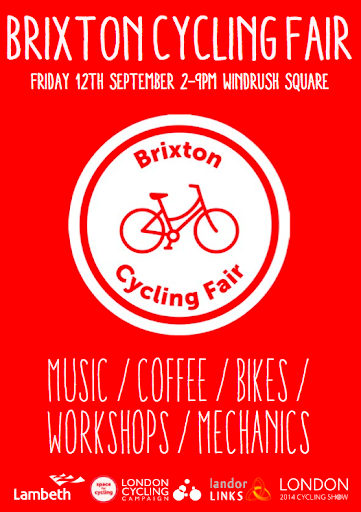 If you have any queries please contact ride organiser Lizzy Jamieson (contact 07961 117698). 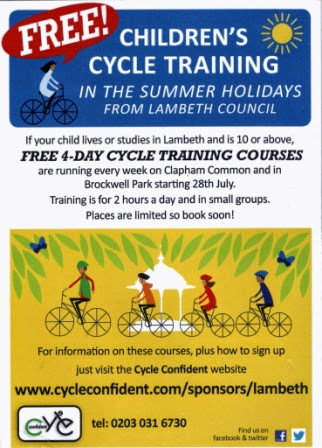 This Sunday, 21 September 2014, Cycle Confident are running a free ride around Clapham and Stockwell. Gain an insight into your local area on this easy going leisurely ride suitable for all. The ride sets off from Clapham Common at 10am and takes in many interesting features of the Clapham and Stockwell streetscape including Van Gogh Walk (Pictured: Winner - Design Excellence - Placemaking awards 2013), Venn Street (Highly Commended, Excellence in Walking & Public Realm, London Transport Awards 2012) and the Edible Bus Stop as well as the brand new 'The Pavement' Clapham Old Town. 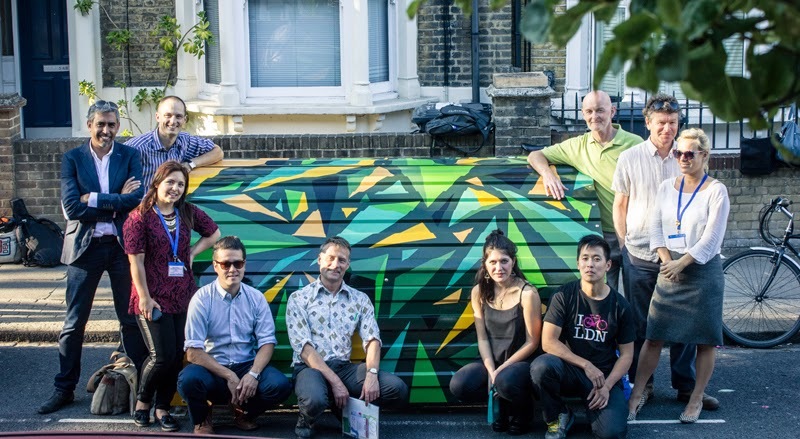 The ride will visit buildings such as the new Clapham Library, looking like a row of books, by Studio Egret West and the Grade II concrete modernist Stockwell Bus Garage designed by Adie, Button & Partners (1952), plus deep level air raid shelters and the home of Sir Charles Barry. Meet 10am for 10:15 departure at the Bandstand, Clapham Common, SW4. The gentle eight mile ride is expected to finish at around 1pm. 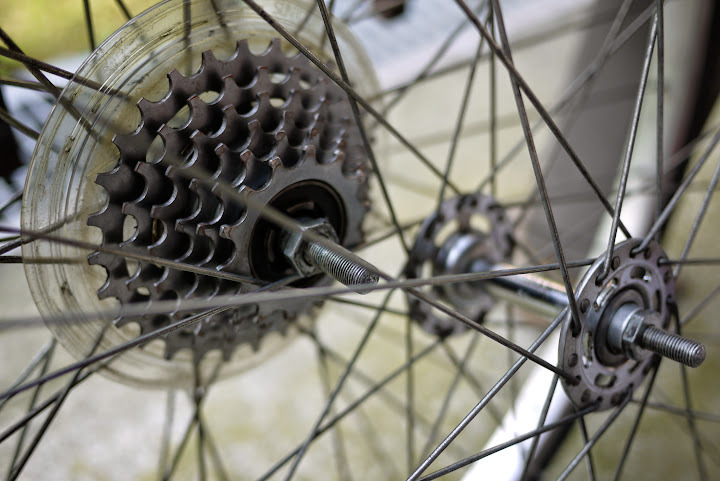 Our course runs for five Tuesdays and covers all aspects of cycle maintenance with the focus on keeping your bike on the road.